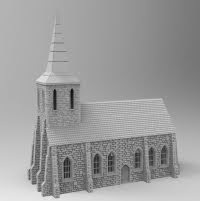 To make it fast, you can certainly print the models with a layer thickness of 0.3mm. However, the lower the layers, the higher the quality. Also think of sufficient infill. Because here is sure that the top layer of printing is opaque and smooth. But everyone knows his own printer s.besten and by trying to get the desired result. Ultimately, it depends on which printer you take. This can be a cheap geetech or an expensive ultimaker. They should all work. §§ Legal Unfortunately, it is not without a reference to legal. 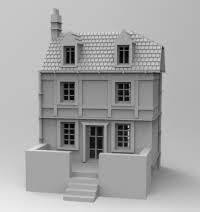 By purchasing the STL file, you have the right to use them to express your building models. You determine the number of required models yourself. The copyright on these models remains with us. Specifically, this means: • The file must not be distributed under any circumstances. 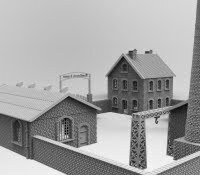 • The printed models may not be sold, or impressions or casts made of them. • a modification of the STL files and the transfer of modified file contents is also prohibited. First look at the Napoleonic Brunswickers!